For use on the metal interior or exterior of gun cabinets and safes. 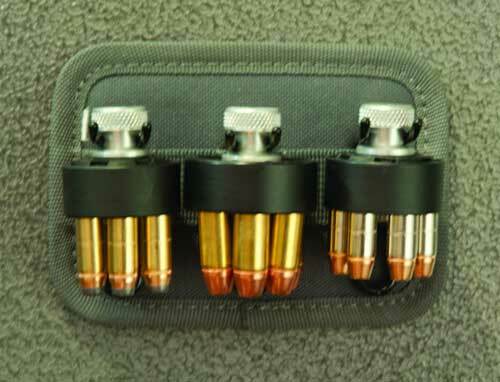 Looking for additional storage space in your gun cabinet? Storing your shooting accessories has never been easier with the new Magnetic Gun Cabinet Modular Storage System. This new system expands the areas of storage on the inner walls or inside door of all metal gun cabinets. This Patent Pending System has Magnetic backing sewn directly into the back side of each modular storage item. This product uses very strong magnets called "rare earth magnets". They are approximately 5 times stronger than standard magnets.